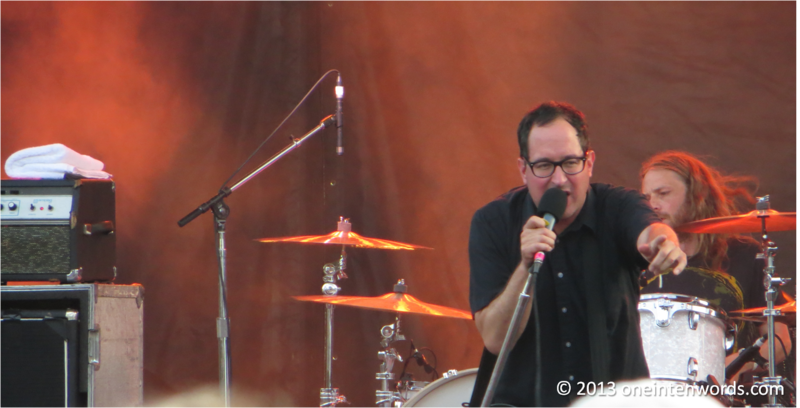 I've been looking forward to seeing The Hold Steady for a long, long time. I first heard of them through a long-deceased and much missed TV program on MuchMusic called The New Music. I immediately picked up 2005's Separation Sunday. I liked what I heard. Lots of loud guitars in a straight-up rock style with unique storytelling delivered in a ranting style over top. What's not to like? I eventually reached back in their catalog to Almost Killed Me and all the way forward to today, as I eagerly anticipate each new release. I also discovered Craig Finn's previous band Lifter Puller. 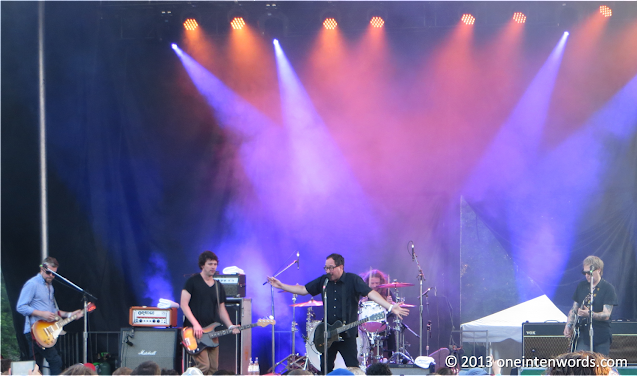 So here I was, on a beautiful day in Toronto, and The Hold Steady hit the stage. And they hit hard. 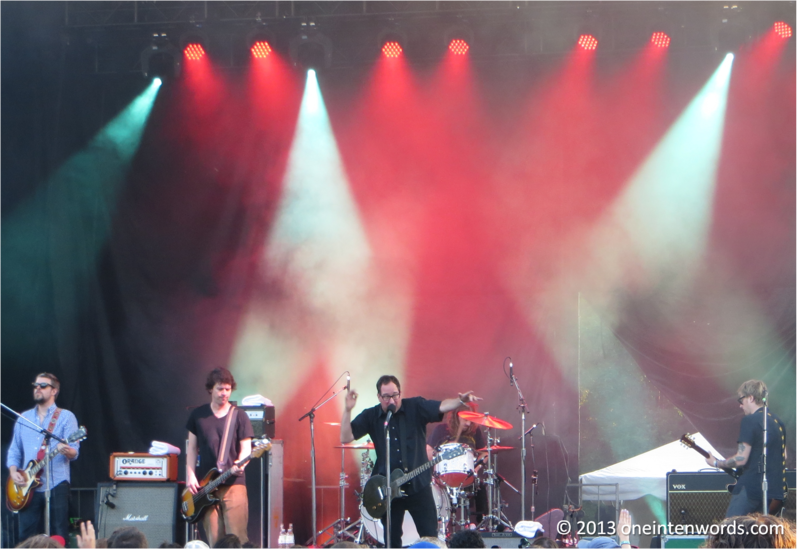 Their setlist was a great cross-section from their discography, featuring favourites and deeper cuts. They were everything I could have hoped for. Being right up front can be a mixed bag sound-wise. You get a lot of sound directly from the stage and the vocals can be a bit buried. As a guitar player I have to say that the sound from the stage during The Hold Steady was incredible. I thought that the Vox driven sounds that Tad Kubler was pushing were amazing. Then I went to the other side of the stage and had my hair blown back by Steve Selvidge's Marshall/Orange rig. All told, some of the best guitar tones in rock today. I don't want to get anyone in trouble, or report hearsay, but I swear that Craig Finn said that they were playing a new song from their new album that would be coming out in a few weeks. I haven't been able to find any corroborating evidence, so I'm content to think that I hallucinated it. They definitely treated us to a couple of new tunes. I'm sure I'm not alone in looking forward to the new release. 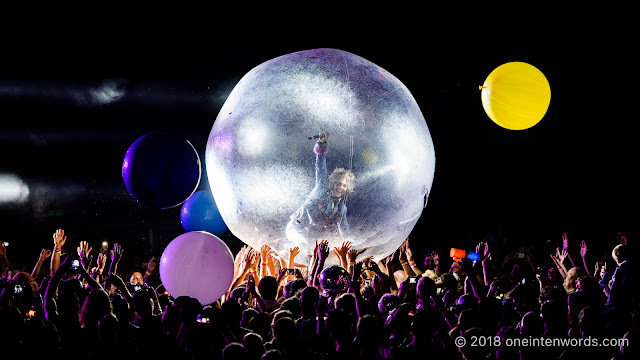 At one point between songs, as audience members shouted favourite song titles at the band, Finn remarked that if he let people shout song titles for long enough, they would eventually be right, in his experience. Love his sense of humour. Second only to how photogenic he is. Now for the music. 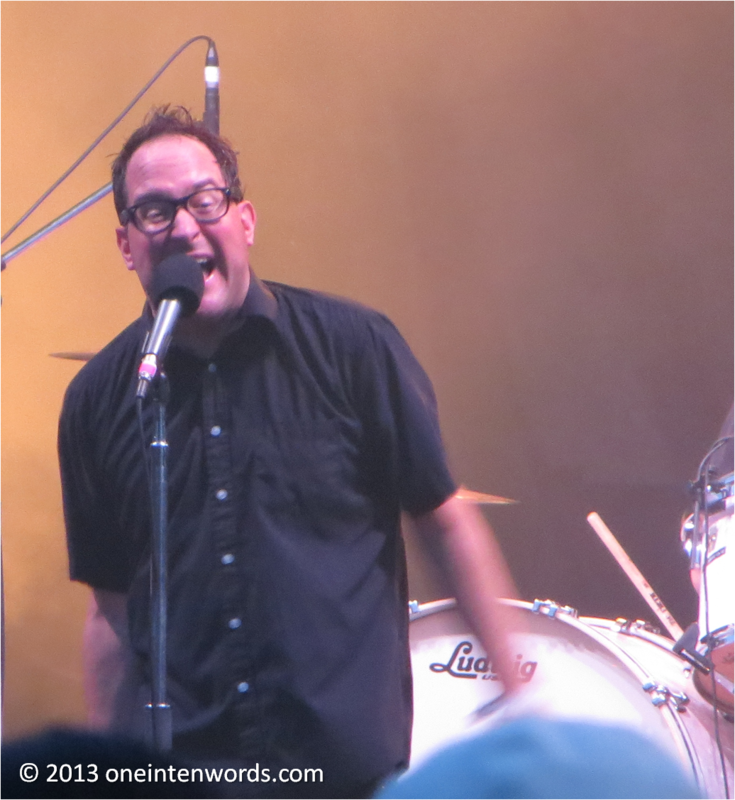 Here's a sampling from across The Hold Steady's career thus far. "Your Little Hood Rat Friend"